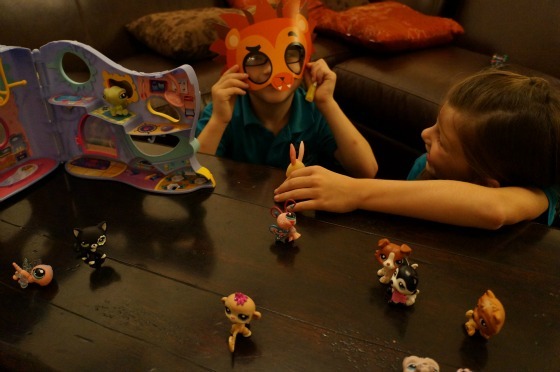 How do you start a Littlest Pet Shop Party? 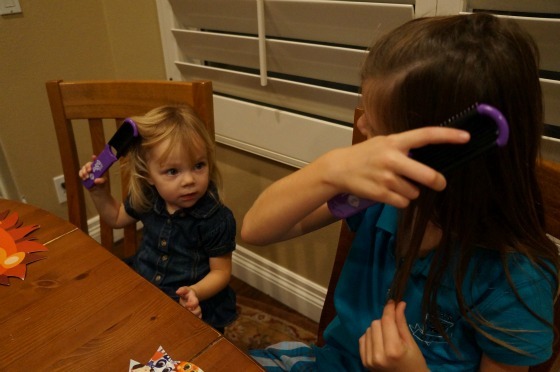 Doing your hair - of course. 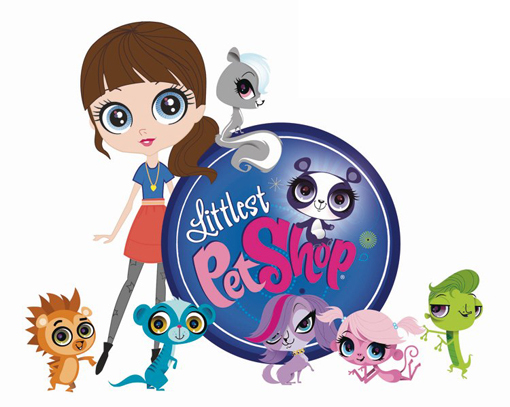 Last night, the kids had a couple of friends over to play with their Littlest Pet Shop and to view The Hub Network "Blythe's Big Adventure." 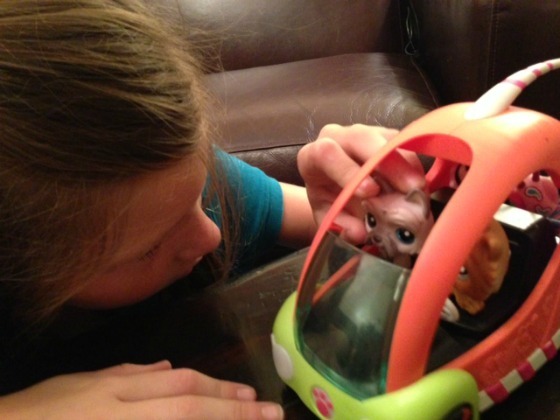 Littlest Pet Shop's are always around our house. 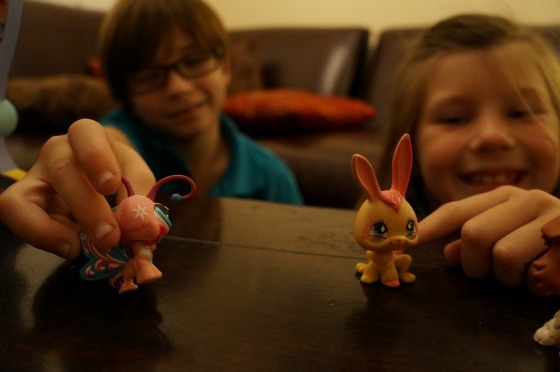 Ella and Tyler could spend hours playing with their Littlest Pet Shop together. They spend time being creative with intense imaginary play together. 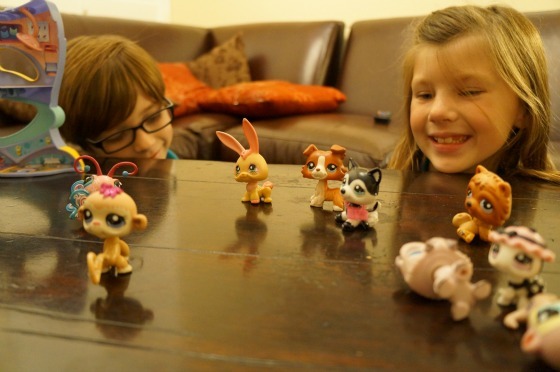 With the screening copy of "Blythe's Big Adventure" came cute Littlest Pet Shop masks. 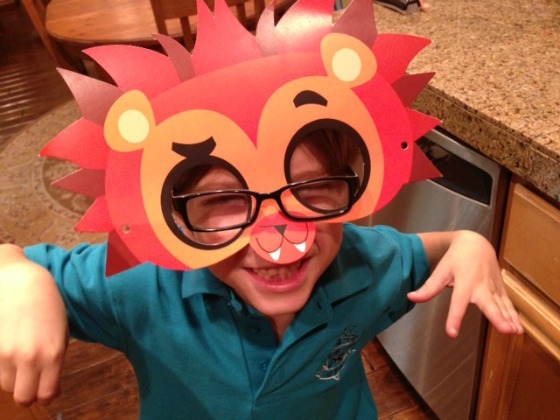 Tyler was the "big mean bear" while they were playing Littlest Pet Shop together. Tyler and Ella have a special relationship. They share a room together (by choice) and play together every chance they get. 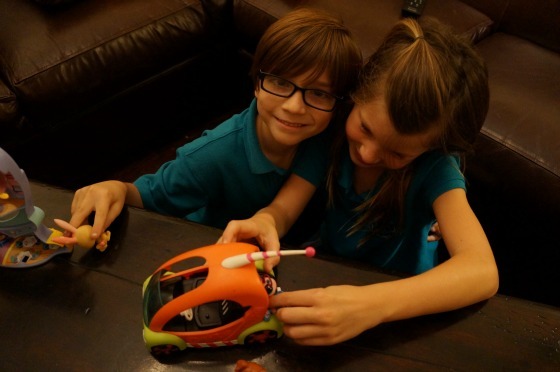 Their relationship has grown over the years while playing Littlest Pet Shop together. After playtime, it was time to see the show. 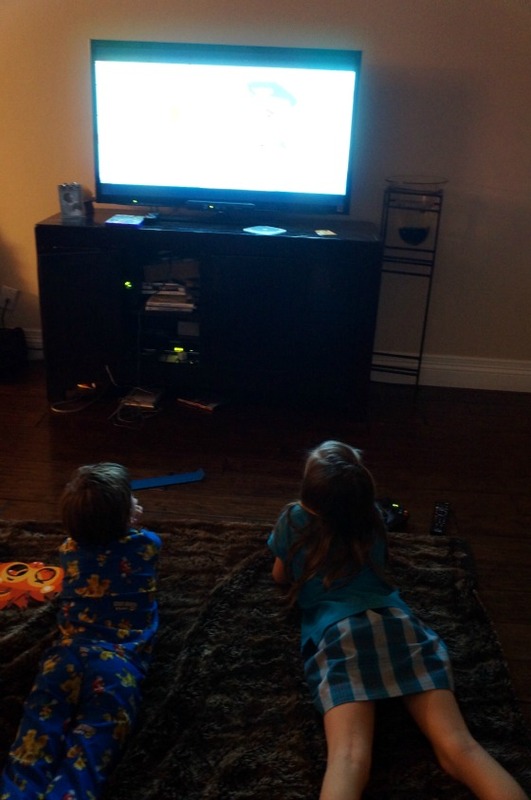 The kids were glued to the television while watching "Blythe's Big Adventure." The room was full of laughter while watching the family-friendly show. The kids favorite characters were brought to life in before their eyes. The evening ended with more silly fun! Disclosure: We hosting this party as part of the BSM community. All our photos, thoughts and opinions are of our own.